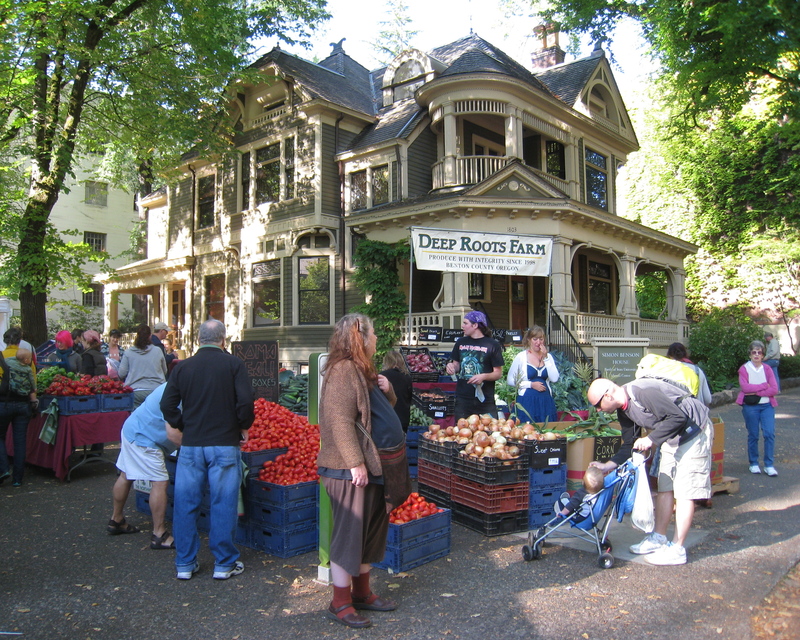 Farmers’ markets are found worldwide. Farmers sell their produce directly to the consumer, so the fruits and vegetables are generally fresher and less expensive than in grocery stores, especially in the agricultural areas of the country. The selection of produce and organic produce can also vary greatly. The picture above was taken at a wonderful farmer’s market in Portland, Oregon.